According to a recent article in the New Yorker, Kalief Browder’s mother was sitting in her living room last Saturday at around 12:30pm when she heard a loud thump on the side of the house. She had no idea where the sound came from, until she saw the body of her son hanging from a second story window outside their home. 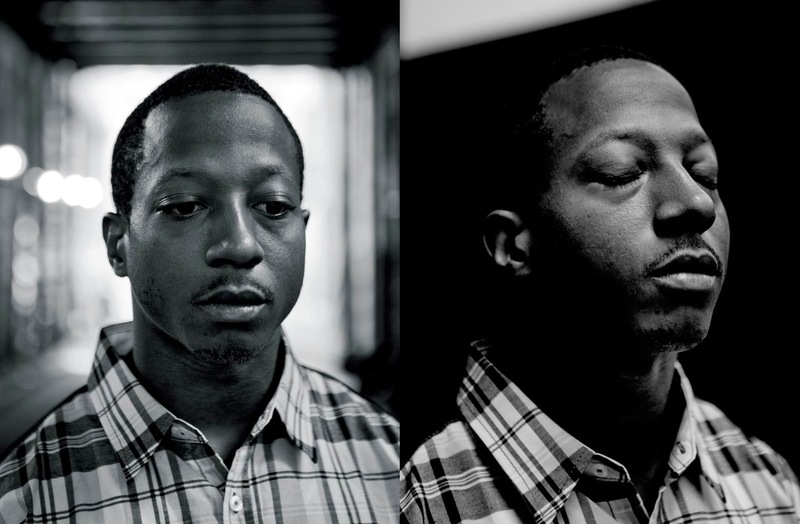 The full story of Kalief Browder, a young man who was wrongfully held in Riker’s Island for three years without trial, surfaced along with news of his suicide. The tragedy of Browder’s death—and what led to it—is a veritable case study of the deep-seated racism, corruption, and undue process directed towards people of color across the United States—both within the judicial system and in our communities at large. Soon, Browder found himself locked up on Riker’s Island, as he awaited a trial that would never come, for a crime he did not commit. He was released three years later, when the charges were formally dropped. During his time at Riker’s Island, Browder recounted a number of brutal experiences while incarcerated. He was the victim of beatings and abuse from both inmates and corrections officers, including long periods of being starved and held in solitary confinement. According to a study from the 2010 U.S. Census Bureau, when Browder was first arrested, only 25 percent of the population in New York City was Black, compared to the 44 percent that was white. However, 90 percent of the population on Riker’s Island was Black and/or Latino. Kalief’s lengthy imprisonment on the island reflects prison disparities across the United States. According to her book, The New Jim Crow, Michelle Alexander states that 60 percent of the total U.S. prison population consists of people of color. This could likely be attributed to a number of racist legislative policies—from stop-and-frisk laws, which disproportionately affect vulnerable minority communities; to prison sentences that are highly inappropriate and for the crimes committed. Browder’s lawyer, Paul Prestia, asks a number of pertinent questions about the case in his discussion with Marc Lamont Hill on HuffPost Live: Why wasn’t Browder put in a line-up at any point during his time at Riker’s? Why keep Browder detained without any evidence? Why was the bail set disproportionately high, so much so that the family couldn’t afford to post bail? The answer to all of these issues can be evidenced by the system of structural racism in America. If you take a close look at the inadequacy of housing, education, healthcare, economic stability, and the virtual non-existence of investments filtered into poor communities of color, you’ll come upon a cycle of destruction that affects everyone, especially our children. Racial profiling is a serious problem plaguing our communities, which often leads to police brutality and apathy. Studies have shown the police possess unconscious biases when dealing with people of color. Police also have a tendency to treat Black boys and girls as older than they actually are. Because of this, the high rates of black men and women in prison make sense. Police officers are primed to see us as criminals. Thus, Kalief’s innocence didn’t matter; the color of his skin did. It’s clear that a large part of Browder’s suicide was caused by untreated mental health issues stemming from the trauma he experienced during his three years in Riker’s. During his 2013 interview on HuffPost Live, Kalief told Marc Lamont Hill that the vicious treatment he received from fellow inmates and correctional officers caused him to go over the edge. He attempted suicide approximately six times before the charges were dropped and he was released from prison. Prison changed him in ways that would only become more apparent after his release. The New Yorker article states that when he left prison, Kalief experienced panic attacks when in large groups of people and exhibited signs of extreme paranoia—even to the point of thinking a TV in his home was watching him. Marc Lamont Hill later recalled a recent interview with Paul Prestia that Browder never had mental health issues before being locked up. This brings to light another problem that occurs across the United States: the complete lack of quality mental health care in both impoverished communities and incarceration centers. While there are strides being made to improve mental health care in prisons, the large populations of prison inmates—primarily people of color—who experience mental health issues are symptomatic of a much larger and deeply-rooted problem. Low-income communities lack much-needed mental health services, such as counseling, conflict mediation programs, and psychiatric services. States… have made devastating cuts to mental health services and have made further cuts for fiscal year (FY) 2012, putting tens of thousands of citizens at great risk. States have cut more than $1.6 billion in general funds from their state mental health agency budgets for mental health services since FY2009, a period during which demand for such services increased significantly. These cuts translate into loss of vital services such as housing, Assertive Community Treatment, and access to psychiatric medications and crisis services. The lack of mental health services can lead to overcrowded homeless shelters as well as prisons, where the mentally ill are sent because of crimes they committed due to their conditions. They may end up in prison for stealing food, or breaking and entering into a home to find a place to sleep. Drugs can also be used as a way to self-medicate when professional mental health care is not available or readily accessible. The reality of limited mental health services available to people of color may have contributed to why Browder never received the help he should have gotten after the trauma he endured. It’s clear that if the conditions of our prisons don’t break us, the conditions in our community will. Unfortunately, we’ll never know what the end result of the case would have been, as Kalief killed himself last Saturday. It is easy to conclude these most recent charges may have been the final blow that led to his death. Kalief Browder was not a criminal. The conditions of Riker’s Island and the tragedy of Browders’ suicide are direct reflections of the conditions that keep a large portion of minority communities impoverished and languishing in a cycle of destruction, from preschool to—in most cases—prison. We cannot simply “pick ourselves up by the bootstraps” when our communities are mired in systemic racism and inequality, and our children are being hauled into jail wholesale as a result. Until we can all face this problem and the very real consequences it has on our communities, we cannot begin to heal the wounds that separate us, the judicial system will continue to be broken, and our young people will continue to die. Healing comes from confronting the issue head on. If we fail to do this, there will be countless others swallowed by the system and its inequalities and spit out. In remembrance of Kalief Browder’s life, we cannot let this happen. Anna Gibson is a student at Wayne State University in Detroit MI. She seeks to create a safe space for the marginalized to tell their stories. If you want to bask in her awesomeness, you can reach her @TheRealSankofa on Twitter. You can also reach her on Facebook, where she’s totally not hiding under the name Anna Gibson.